HomeAboutPersonnel RNDr. 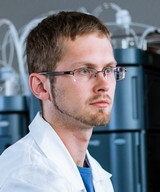 Ondřej Kurka, Ph.D.
Analytical Chemistry, Liquid Chromatography, Mass Spectrometry, Chiral HPLC Separation, Analysis of biologicaly active compounds, polyphenols, archeological samples, drugs. 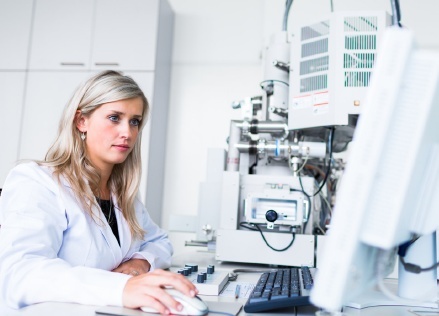 Analytical chemistry lab, mathematics for chemists, supervisor of bachelor and diploma theses. Kučera L., Kurka O., Barták P., Bednář P.: Liquid chromatography/high resolution tandem mass spectrometry – Tool for the study of polyphenol profile changes during micro-scale biogas digestion of grape marcs. Chemosphere 166 (2017) 463-472. Kučera L., Papoušek R., Kurka O., Barták P., Bednář P.: Study of composition of espresso coffee prepared from various roast degrees of Coffea arabica L. coffee beans, Food Chem 199 (2016), 727-735. Kurka O., Kučera L., Bednář P.: Analytical and semipreparative chiral separation of cis-itraconazole on cellulose stationary phases by high-performance liquid chromatography, J. Sep. Sci. 36 (2016) 2736-2745. Štěpánková M., Krasulová K., Dořičáková A., Kurka O., Anzenbacher P., Dvořák Z.: Optical isomers of dihydropyridine calcium channel blockers display enantiospecific effects on the expression and enzyme activities of human xenobiotics-metabolizing cytochromes P450. 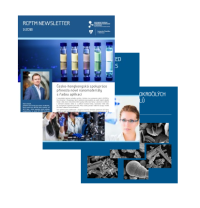 Toxicology Letters 262 (2016), 173-186. Táborský J., Švidrnoch M., Kurka, O., Borovcová L., Bednář P., Barták P., Skopalová J.: Electrochemical oxidation of zopiclone. Monatshefte für Chemie 147 (2016), 53-60. Kurka O., Roithová J., Bednář P.: Examination of small molecule losses in 5-methylpyranopelargonidin MS/MS CID spectra by DFT calculations. Journal of Mass Spectrometry 49 (2014), 1314-1321. Škríba A., Janková Š., Váňa J., Barták P., Bednář P., Fryčák P., Kučera L., Kurka O., Lemr K., Macíková P., Marková E., Nováková P., Papoušková B., Skopalová J., Švecová H., Roithová J.: Protonation sites and fragmentations of para-aminophenol, International Journal of Mass Spectrometry 337 (2013), 18-23. Kurka O., Myjavcová R., Bednář P.: Možnosti přípravy vybraných kondenzovaných anthokyaninů v modelových podmínkách a studium jejich vlastností. Chemické Listy 105 (2011), s37-s39.